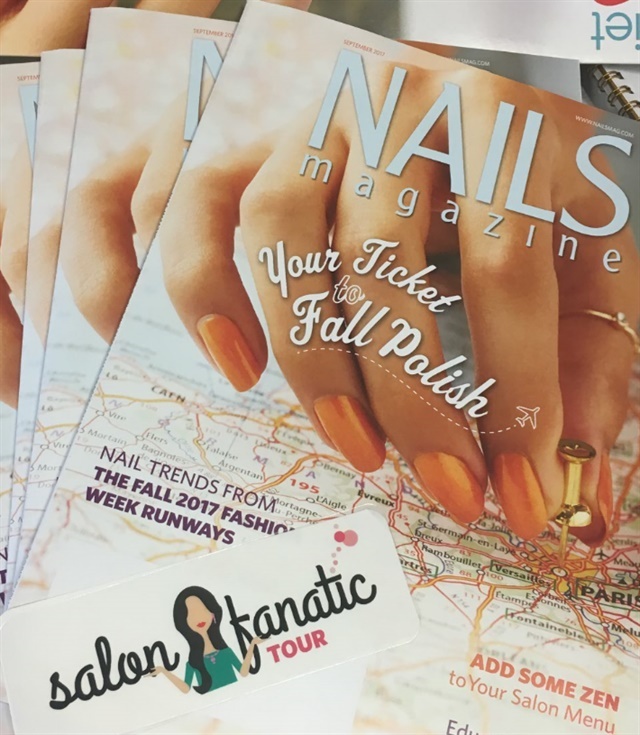 Imagine your boss coming to you and asking, “How many nail salons do you think you can visit in a week?” Being the executive editor of NAILS Magazine and an all-around salon fanatic, I happily pondered that question and did some rough calculations in my head. It would depend on the area. California, for example, is saturated with nail salons. Then it would depend on the type of service. After all, I’ve sat for four hours to get nail art done before. “Let’s find out,” I said. 1. To engage with our readers. Our editors are constantly on the road, which helps us understand our readers and how they do business better than anyone. 2. To meet new readers. 3. To better advise our marketers and enhance the content we create. 4. To tell more stories. As an editor, I am profoundly interested in the stories behind salons and the people who work in them. With so many ways to profile others, this is a perfect time to gather the stories of those in our industry and share them in new and interesting ways. 5. To do something new, bold, and creative. You can follow me along on my journey as I recap it daily from this blog. I will also be on the NAILS Instagram and Snapchat (@nailsmagazine), broadcasting live from the road. You may even see a few familiar faces on the way.